THIS RELEASE CONTAINS SIGNIFICANT WORKFLOW AND INTERFACE CHANGES TO MOTHERNODE CRM AND ERP PRODUCTS. USERS ARE ENCOURAGED TO READ THESE RELEASE NOTES AND FAMILIARIZE THEMSELVES WITH THESE UPDATES. Mothernode USERS SHOULD TAKE NOTE: SOME PRINTING ENHANCEMENTS ARE NOT AVAILABLE IN THIS RELEASE AND WILL BE AVAILABLE LATER IN 2015 AFTER TRANSACTION PDFS ARE UPDATED. 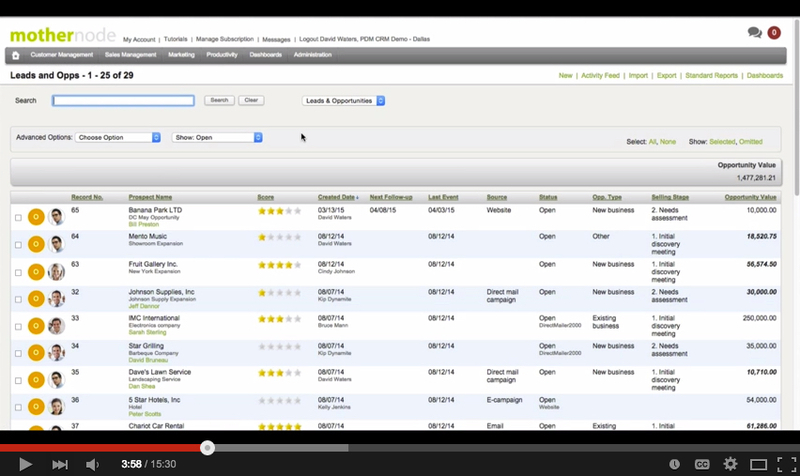 This video offers a look at SOME of the features and capabilities available in this update.